The Thomaston Historical Society is among the most active historical societies in Maine and has published a number of books. Regular meetings are held the second Tuesday of each month between May and September at 7:30 p.m. A program is given at each meeting on a topic of local interest. 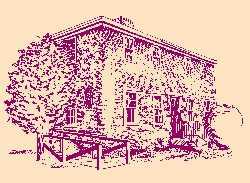 Our building, the General Henry Knox Farmhouse, opens at 7:00 p.m. on meeting days for a social hour prior to the meeting. In addition to meetings there are special events planned during the year. The Society operates a museum that is open to the public during the months of June, July and August on Tuesdays, Wednesdays and Thursdays between the hours of 2 and 4 p.m. or by appointment. Admission to the museum is free and there is always someone in attendance to answer your questions and to show you around the historic building.